Are you hedging your bets stuck between a digital SLR and a compact camera with a long zoom lens? Well, wait no more because the new Panasonic Lumix FZ1000 might be the best camera you need to capture your desired things with precision and quality. 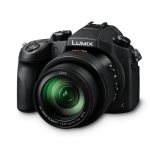 Panasonic Lumix DMC-FZ1000 is the ideal camera for those who are looking for an unremarkable camera for travelling purposes and while it does most (if not all). Though the Digital SLRs bring premium photos, they might prove too much of a camera for you in terms of the weight, the size and the price, and that too without adding up a long zoom lens to the equation. The FZ1000 on the other hand beyond any shadow of doubt, connects them both employing a 1-inch 20-megapixel MOS sensor which is essentially 4 times bigger than the ½.3-inch sensors that are generally found in most of the long-zoom cameras like the Panasonic’s FZ200. 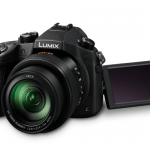 Panasonic has pitched the recently available-to-buy Lumix DMC-FZ1000 to the photographers with a lot of confidence. Video makers has created much hype as an ‘epoch’ product that talks about being a Game changer. It is the first ever compact camera that allows the photographers to pull out a still image from a 4k sequence that essentially results in the equivalence of an 8-megapixel photo. What’s more, it has a 4k video capture too, much to the delight of the photographers and the amateurs alike. The users also have the choice of a time-lapse effect and stop motion animation in terms of the video. Therefore, this product can easily and unarguably be called as the perfect photographer’s delight. User could also unleash the creativity with Wi-Fi capabilities. 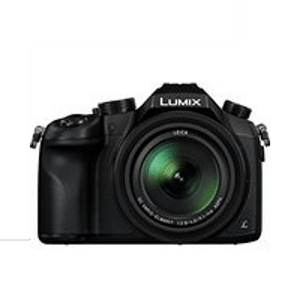 LUMIX RFD focusing technology makes sure that you need not compromise on the quality of pictures. Embedded 20.1 Megapixel sensor ensures that you have the best in-class images with least noise factor. 5- axis correction offers you distortion-less images and user could also exploit the nuances of one-handed video shooting capabilities. Minimum focus distance of 3 cm. empowers user to convey breathtaking details of flowers, beetles etc. So, to conclude, we can say that the Panasonic Lumix DMC-FZ1000 is the first-in- class bridge camera at a premium price range. Nevertheless, the FZ1000 is a versatile product within its bridge camera class for all those who would like to shoot 4k-videos without having to change lenses. But the thing to note is that it’s not just about the video as such. Panasonic’s latest bridge is indubitably the most ‘future proofread’ of the cameras yet. you may want to expand your horizons and delight your senses with this product a bit. It is not by any chance a pocket model and believe us, we tried. It comes with an attachable neck strap though it cannot be fitted into the roomiest of jacket pockets. This new Panasonic Lumix DMC-FZ1000 is capable of shooting everything from an insect to a skyscraper; it speaks for itself and is only limited by your imagination!